Boric acid is one of the most popular household products. Maybe you’ve heard about it from your grandmother who used it to remove stains from the laundry. Or from the lady across the street who used it to cure her child’s pinkeye. Or from the guy at the hardware store who swears by it as THE BEST and MOST EFFECTIVE roach-killer. What does boric acid do? It’s in cosmetics, powder, in your control lens solution. It’s an antiseptic, antibacterial, and anti-fungal agent, household cleaner and deodorizer, stain-remover, mould-killer, flea and roach killer, pesticide, herbicide, preservative. The list goes on. We know there are a thousand and one uses of the stuff. But that’s not even half of it. Here are five uses of boric acid we bet you didn’t know. According to a 2004 study, the fire retardant property of boric acid is a physical mechanism achieved by the formation of a protective coating on the surface of the material to which it is applied. Boric acid also has a high melting point meaning it can withstand high temperatures, even up to 170oC. This makes it ideal for use in treating wood (this also protects the wood from insects) and in the production of various textiles, leathers, furs, mattresses, glass, fibreglass, cement, halogen light bulbs, and even oven-ware. Even in ancient times, boric acid was already used in metalworking in the Middle East. Today, it is used in the industries which work with non-ferrous metals. Boric acid helps remove the oxides/slag which are by-products of the melting process, and helps in preventing oxidation. Because of its high melting point, it’s also used in welding as a cheaper alternative to store-bought flux. In nuclear power plants, boric acid is added to the reactor coolant to reduce the rate of the fission process and regulate reactivity. In fact, boric acid was used by the Tokyo Electric Company to stabilize its Fukushima nuclear plant which was affected by the 2012 earthquake and tsunami in Japan. 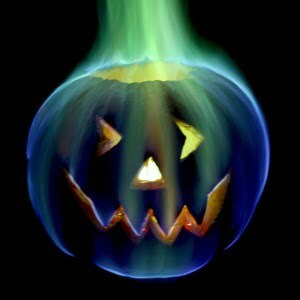 When added to methanol and then lighted, boric acid creates a green flame. It is popularly used in fire prop shows (e.g. green fire Poi and staff spinning), movie special effects, and fireworks. Carrom is a board game popular in East Asia, especially in India. It has been described as finger pool, as it is played similarly to pool, but with fingers. Boric acid is used in Carrom boards to make the pieces slide across the board more easily. I hope you found this list interesting. Do you have any unique uses of boric acid? If you do, please share them with us in the comments section below. If i wanted to use boric acid to kill carpet beetles would the best way be to simply spread it onto the carpet?